Foot fractures have the capability to severely hinder mobility. While there can be many causes and different forms of foot fractures, one in particular is referred to as a "Jones' fracture," which is a stress fracture of the foot that can occur after repeated strain over time, such as in high intensity sports like running. Contributing factors leading to these types of foot fractures are high arches or legs that are shaped in such a way as to place increased amounts of pressure on the outside of the foot. Often those who end up experiencing this fracture will experience a long-term pain in the foot’s outer region before it occurs. This would be classified as a developing stress fracture of the foot. Podiatrist Dr. Daniel Drapacz, DPM, at the New York Foot Experts, can treat foot fractures at one of our three locations: 65 Broadway Suite 1103, New York, NY 10006, 360 West 125th St Suite 7, New York, NY 10027 or 469 7th Ave Suite 601, New York, NY 10018. Treatment includes the use of casts or boots to immobilize the foot as it heals. This type of foot fracture should heal quicker when protected from external forces and when not allowed to bear any significant weight. Surgery may also be necessary to prevent the foot becoming fractured again and will be useful to realign the foot in a position where it will not be susceptible to future fractures. This may be accomplished by drilling a screw into the middle of the foot’s injured bone to stabilize the bone and to increase blood flow from the drilling action. Recovery time from this type of injury can take longer than other injuries that happen to the foot since fractured bones get reduced blood supply. Foot fractures are a time consuming injury and it is important to call us at 212-385-0801 or contact us online to schedule a consultation. We can do our best to help diagnose whether your foot may be prone to fractures or is developing a stress fracture from repeated stresses present in your daily routine. 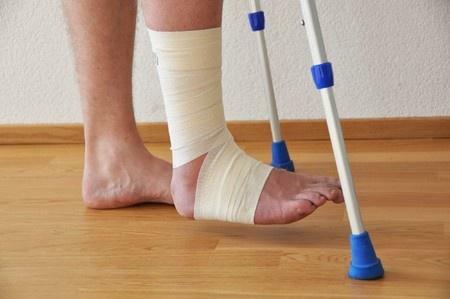 We can also provide treatment to support your fractured foot and give it the best chance of avoiding re-injury.